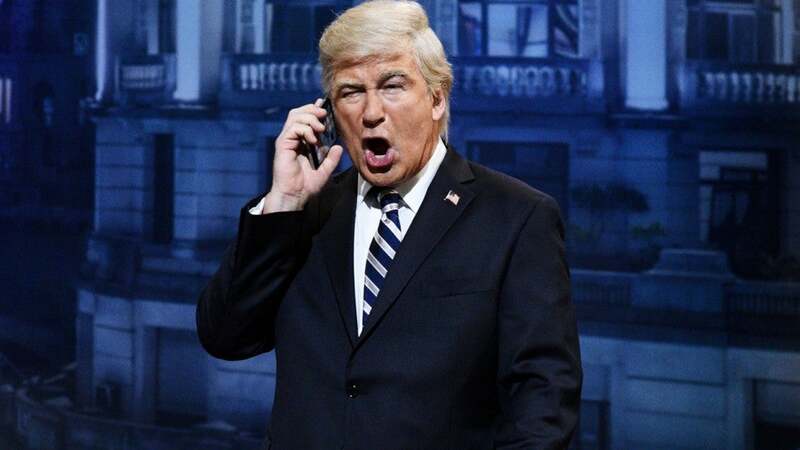 The first episode of Saturday Night Live since the partial government shutdown began started off satirizing the political quagmire in a Deal or No Deal sketch. SNL brings Alec Baldwin's Trump to "Deal or No Deal". "We made a decision to do this in the only format that you can understand, a TV game show with women holding briefcases", Steve Harvey (Kenan Thompson) said, after bringing out the "guy who said he would own the shutdown". Trump, played as usual by Alec Baldwin, offered as part of Saturday's news to "release the kids from cages so they can be free-range kids". Trump ends up choosing House Speaker Nancy Pelosi (D-Calif.) (Kate McKinnon), who opens her suitcase after saying she feels "normal, not drunk on my own power or anything". But Trump said "No deal!" Baldwin's President Trump turned the deal down because it wasn't $5 billion and he "needs $5 billion because that's the first random number I said". "Deal or No Deal" continued as Baldwin's President Trump picked others from Congress such as Alexandria Ocasio-Cortez (played by Melissa Villaseñor) and Mitch McConnell (played by Beck Bennett) before landing on a Clemson football player. Her offer was: $1 billion, and "You say, 'Nancy is my mommy'". The incredulous host responds, "You're ending the shutdown for a hamberder?" Trump also listed two "measures to protect migrant children from exploitation and abuse", a "new system to allow Central American minors to apply for asylum in their home countries and reform to promote family reunification for unaccompanied children" detained away from their families in the United States.